This picture was taken in 1952.. According to records and church-family history.Bethel Hill Baptist Church got it's beginning after the cemetery was first begun, which was sometime after the Civil War.The cemetery was a forerunner of the church by many years. The first person buried in the cemetery is reportedly Porter A. Owenby, a Civil War Veteran. His stone is one issued by the Government, and it only contains his name and his position in service.There are no dates listed. In the beginning this cemetery was known as Porter Hill Cemetery named after Porter Owenby and because it's located on a little hill. About forty headstones are rock with no inscriptions on them. Some of the older stones are difficult to read. By far, the names of Owenby out number any other family name. The cemetery is spread out on a hillside overlooking the little Church. 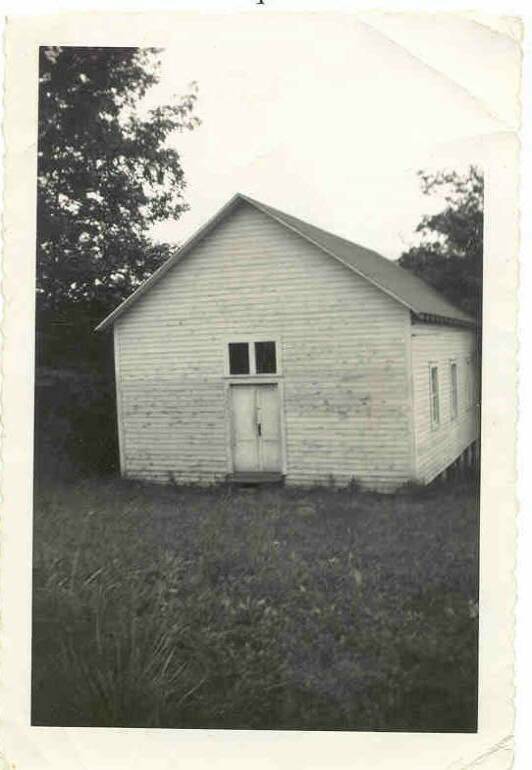 The first building started out as a building for funerals in case of inclement weather. After many years, the people decided to renovate it into a church, and it began by having Sunday School classes as well as preaching,This was done with success so it was organized as a church. Morgan , Jessie Bateman, Fred Morgan, Eloise Morgan, Wayne Owenby , Joan Owenby, Beuford Owenby, Pearly Owenby, Shirley Owenby, Pauline Smith, Carl Smith, Clyde Smith, Cliff Douthit, Nola Douthit, C.G. Douthit, Gerald Morgan. 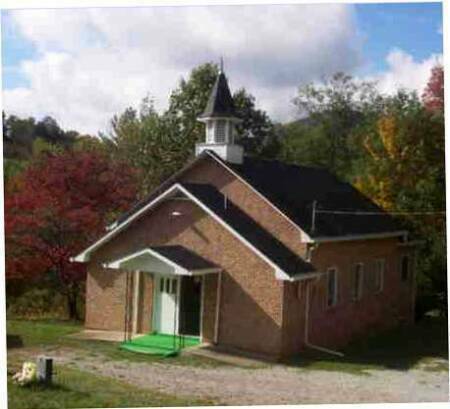 Eventually the original building was replaced with a new building, built by community and church people. Some of the original Builders were:"Tump" Owenby,Fred Morgan, Walter Morgan, Curtis Passmore,and others. They used their scoops, horses, shovels, etc. to get the basement started. They hammered, measured,and sawed until the building was completed. The original pews and pulpit were built there. As time moved on,pews and additional furnishings were added.Central air- conditioning and heat were added years later as were the bathrooms.In addition to the sanctuary, the building has two basement rooms and two rooms behind the pulpit area. The two bathrooms are at the front entrance, just inside the front porch. False brick has been added to the outside walls. The floors have been carpeted more then once. The bell in the steeple still invites the community to the weekly services.